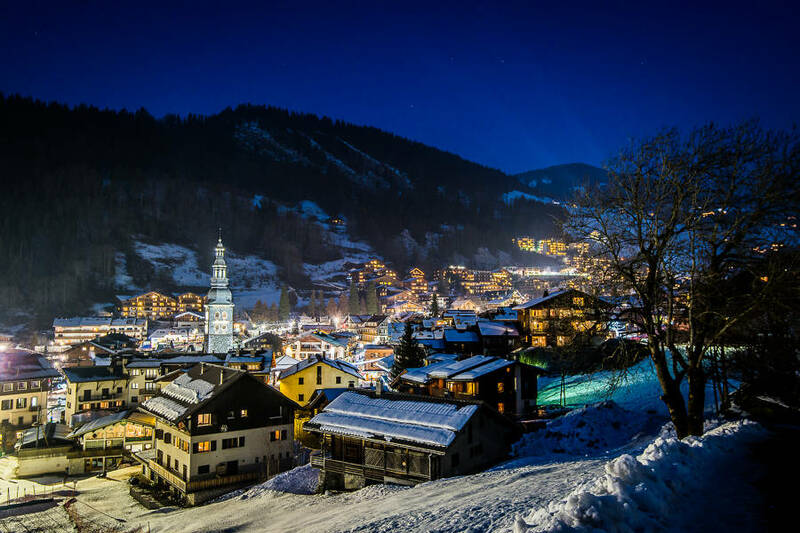 La Clusaz is a traditional Savoyard village and possibly one of the most picturesque mountain villages in France. 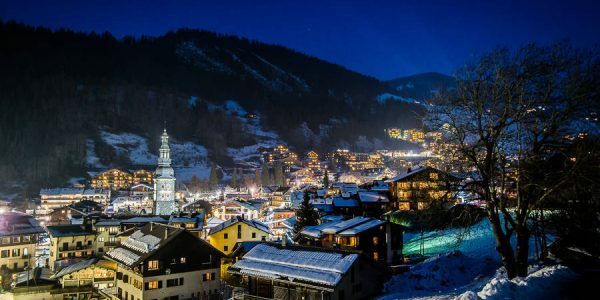 The village has not lost its old world charm with traditional square, classic Savoyard church and winding streets fanning out from the square, very different from many of the purpose built resorts of the Alps. The village has a great selection of rustic restaurants where one must experience the Local Reblochon cheese and other local farm produce. There is still a sense of local community here, there is usually a busy schedule of events that visitors can experience from torch lit descents to the outdoor market every Monday at La Place de L’Eglise. Local restaurants worth checking out are Restaurant La Calèche or La Fruitière. 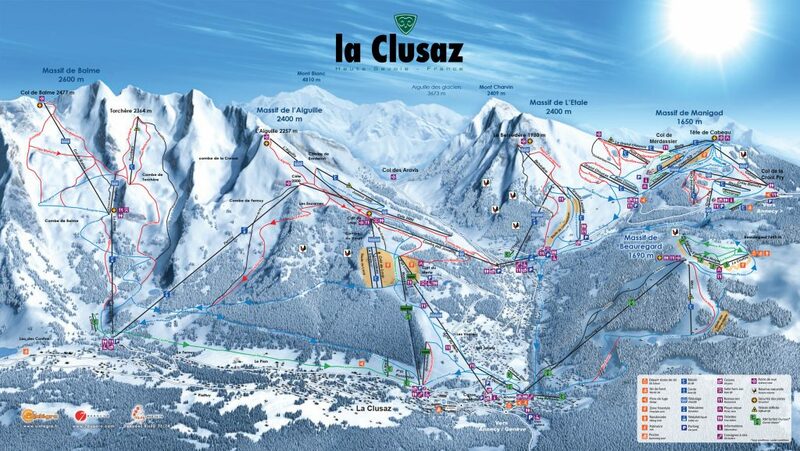 The Skiing of La Clusaz is spread over 5 mountain areas. Whilst the ski area might look like it is predominantly for beginners and intermediates, I found that there was a lot more expert skiing than I expected. 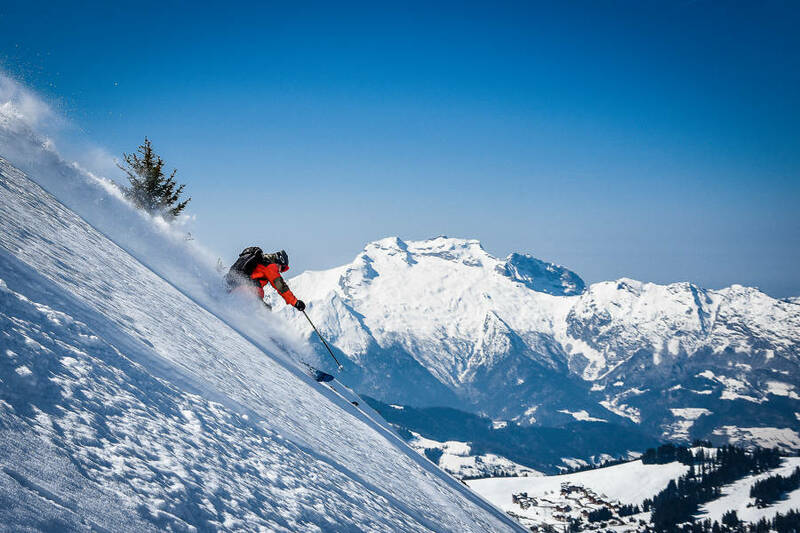 The area has also produced a lot of world famous freeride skiers, so it goes without saying that there is a lot of good quality off-piste as well. Due to the altitude there are a mixture of above and below the treeline skiing which is always good. 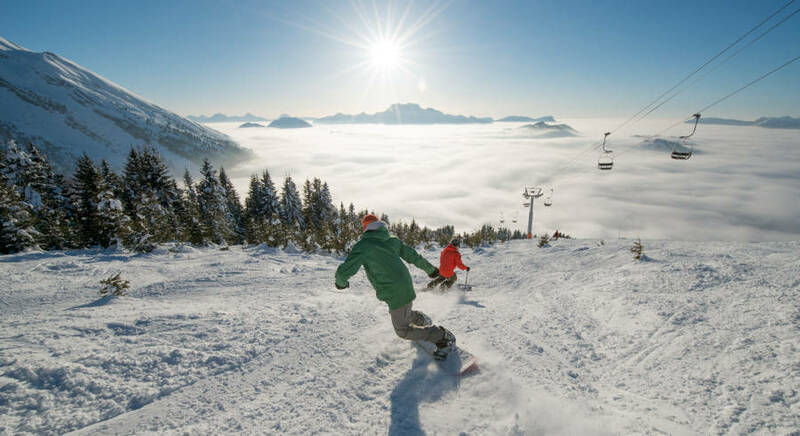 Despite the traditional village, the mountain is very forward thinking concerning its snowsports, thus attracting the Telemark World Championships and Freestyle World Championships. 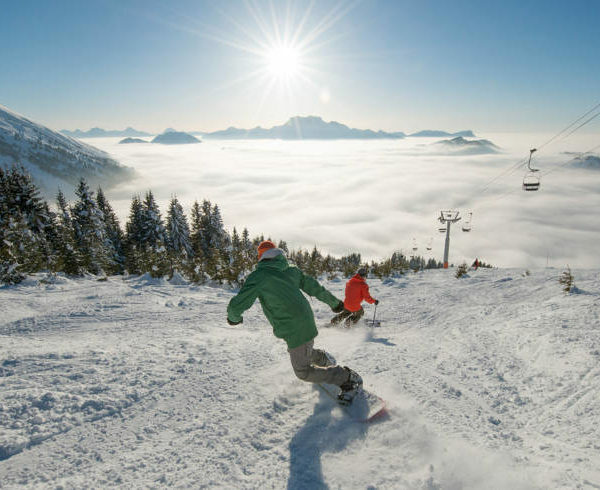 La Clusaz is part of the large Domaine des Aravis ski area which includes Le Grand-Bornand, Manigod and Saint-Jean-de-Sixt covering a total of 133 pistes / 210km. These various resorts are all linked by a shuttle system. Some of the best areas for beginner green and blue pistes are to be found over in the Massif de Beauregard and the Massif de Manigod area. 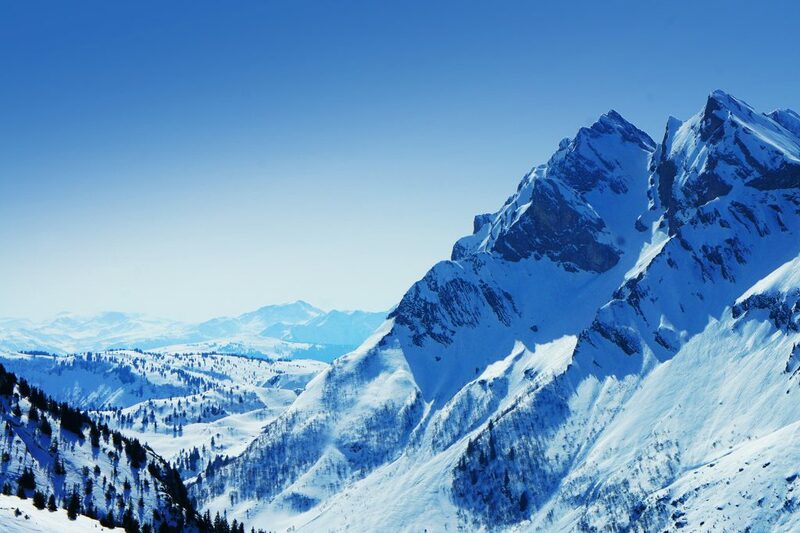 The Massif de l’Aiguille has a collection of great blue runs back to the resort centre as well. Let the whole mountain be your playground. 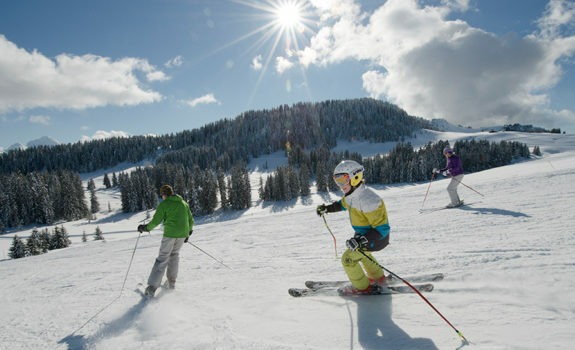 Intermediates can pretty much travel throughout the whole ski area. The red pistes of Massif de Balme are a lot of fun, make sure you check out the view across to Mont Blanc and many of the French ski resorts from the Col de Balme at 2477m. There may not be a lot of Black pistes on the map, but the ones that exist are a good length, and some of the reds can feel more like black when hard packed and bumpy. 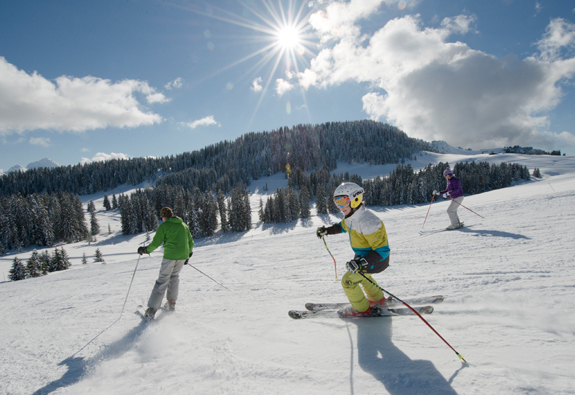 There is still a lot of great skiing to be had for the expert skier. The area supports and promotes freeride skiing with many of the schools running freeride programmes to teach not only techniques but safety and awareness in the mountains too. Many of the cols along the Aravis range provide great opportunities for off piste exploration. 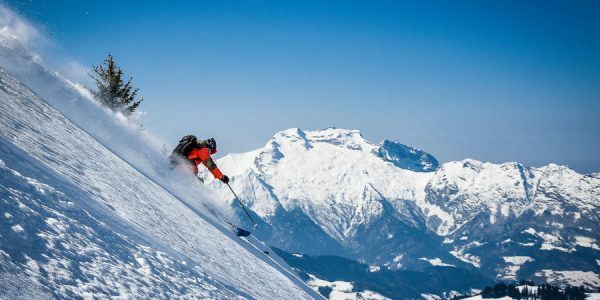 The skiing of La Clusaz is mostly spread along part of the Chain de Aravis mountain range which is quite a spectacular line of mountains as you look along the row of peaks and imagine the terrific power that threw these beautiful mountains up. I particularly enjoyed skiing around the Massif de Balme and Massif de l’Aiguille, with their North-West facing the slopes the snow keeps pretty well. It was fun to head off and explore the Massif de Manigold and Massif de L’Etale with their forests but make sure you leave enough time and energy for the long piste L’Envers back to La Clusaz. As for some unique experiences, If you happen to be there for the Full Moon Party then definitely go skiing at night, there is skiing by light on the Massif de l’Aiguille side, however the Massif de Beauregard provides true skiing by Moonlight! A thrilling experience, make sure to ‘Use the Force Luke’ on this side. 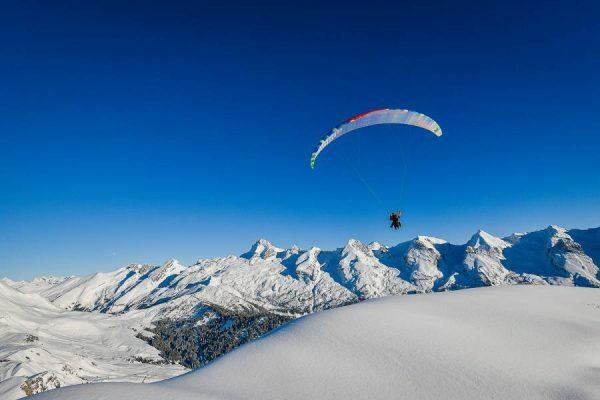 Another way to experience the resort is by Paragliding with Evolution2 La Clusaz; a truly unforgettable feeling, to be soaring through the air over La Clusaz with skis strapped to your feet, this is a great way to take in the mountains. Once back on sold snowy ground, it is worth checking out the delicious mountain food at Restaurant La Ferme. 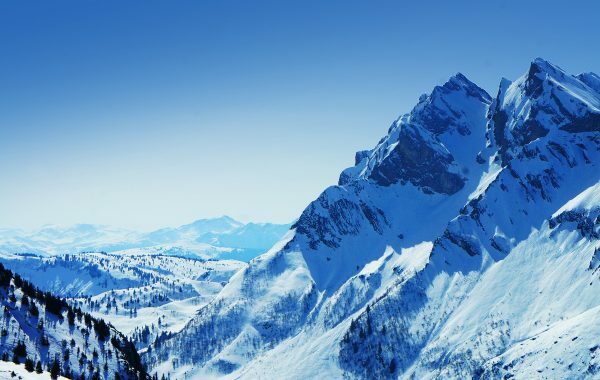 Crystal Ski Holidays offers a week’s self-catering at the four-star Residence Mendi Alde in la Clusaz from £627 per person (based on six sharing) including flights from Gatwick to Geneva and transfers (price given is for departure on 6 january 2018). Direct flights available from all major UK airports.